This sends the command to the Handy Board to start the motor plugged into slot 1 at the speed of 10. Sometimes, the motors are plugged in wrong. Using this interactive testing helps insure that the basics are assembled correctly before proceeding to more complex programs. Testing the motors, using the fd() and bk() to insure the motors are wired properly will make the programming easier. Enter fd(1); at the IC prompt and the motor connected to the motor 1 port should spin so the robot would move forward. If the motor spins incorrectly, it is easy to unplug the motor at the Handy Board and reverse it. Test the other motor the same way. will read the photocell on the bottom of the bottom bat and display the results on the LCD display. The LCD display is one of the Handy Board's strong points, allowing debugging to happen while the robot is in motion. I am also working on some mapping software to see if this robot can map out a room using the sonar, compass, and wheel encoders while driving around. 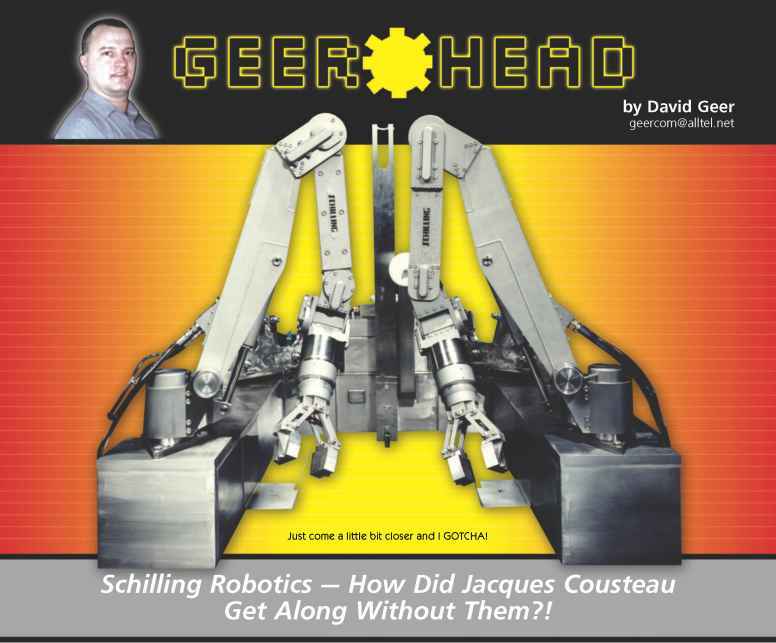 Plus, a look back at Thor, Schillings' early contribution to the Robot Wars! Schilling Robotics is a world class, world-spanning supplier of undersea manipulator arms and Remotely Operated Vehicles (ROVs) for underwater recovery operations. It started out providing remote controlled manipulator arms for ROVs about eight years ago and recently began supplying one-of-a-kind ROVs brand named Quest about two years ago. 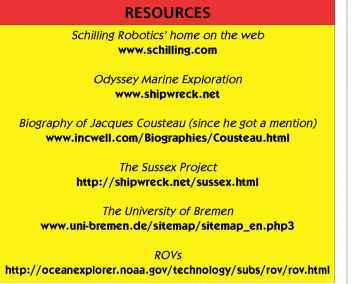 The Quest ROVs are derived from unique new technologies developed by Schilling that scream to be mentioned. Quest ROVs are run by a very precise control system with its own modules of automatic control that no one else in the industry can offer. No, not the future-space roboticist creature twins from the movie Bill and Ted's Bogus Journey, but rather Station Keeping, the undersea technical miracle. One of the most important, most sophisticated modules is the Station Keeping mode. In this mode, a vast array of sensors collects data that is used to make the ROV perform functions relative to its sea floor position. For example, an ROV may need to "fly" up to a well head on the sea floor. The ROV's pilot uses his joystick to maneuver the ROV manually against the water currents to maintain position. 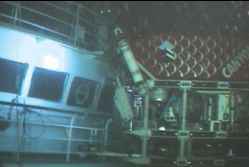 The Quest uses sensors including one that measures the ROV's velocity and direction relative to the sea floor and maintains this positioning automatically. As Schilling put it, the trouble a pilot might have staying in place is comparable to the difficulty that a helicopter pilot might have staying close to a building in air currents and wind without hitting the building or moving too far away. The Quest vehicle powers the Coil Tube Drill with its onboard hydraulic power unit and operates the CTD control valves with its manipulators. Other modules or modes enable the ROV to fly along trajectories that have been mapped out, relative to the ROV's current position or station. The ROV can be parallel to a row of valve handles and move automatically to anyone of the valve handles down the line. This enables higher level commands from the pilot and smoother operational control. The maneuverability and accuracy of flight of the Quest ROVs are not affected by underwater visibility. When the soggy bottom of the sea is stirred up, the ROV doesn't have to quit working. The Quest comes in models that operate down to 6,500 meters underwater. The deepest flying one they have actually built — so far — goes down to 4,000 meters. The 4,000 meter depth Quest model weighs about 6,000 lbs in air and replaces 6,000 lbs of seawater. Now, that's "precisely" what I'm talking about! 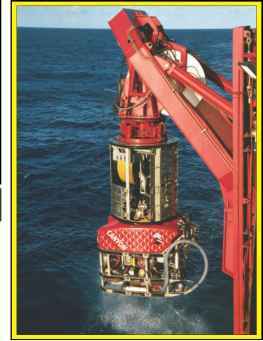 The Quest 5 — owned by the University of Bremen — was deployed to a mid-Atlantic vent field. Vent fields are where super hot water comes out of the ocean floor in the spreading zones where the Earth's plates are spreading apart. Chimneys form on the sea floor in these vent fields from the precipitation of hydrogen sulfide that comes up out of the super-heated water. Schilling's snake-like CONAN manipulator arm. centimeter in diameter. The sampling probe was only slightly smaller than that. The probe was attached to the frame of the Quest 5. The Quest 5 pilots were able to fly the Quest 5 and — using the automatic control mode — keep the probe inside the chimney for a full hour. This was the amount of time that the scientists needed for their sampling. The ROV again, working away. water. At the same time, the Quest 5 could not set down on the sea floor in this type of location; it maintained its position the entire time, flying with an accuracy much narrower than one centimeter. Got an Ehemi in That Thing? The Quest 2 was put into active duty shortly after its construction to help recover the Japanese fishing vessel, the Ehemi Maru. 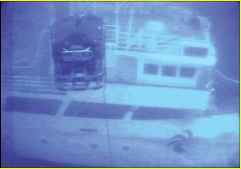 The fishing boat was submerged off the coast of Oahu. The Quest 2 was put into action around September or October of 2001. The Quest worked a whopping 1,200+ hours of bottom time. Operations were around 2,000 ft underwater. 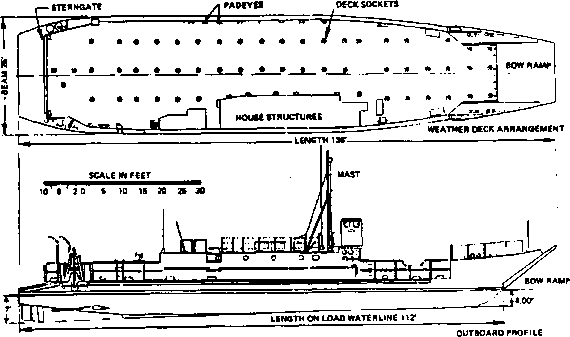 The sea floor around the project was strewn with rigging, drilling equipment, and other machinery needed to raise the boat. 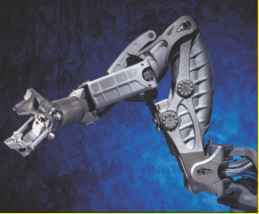 The Titan 3 Manipulator arm is mostly titanium, from which it gets its name. The Titan is so durable that some of its owners have worked them 12 to 14 years only to have them checked out or rebuilt to start work again. Is it strong? A Titan 3 arm can lift 1,500 lbs underwater when curled back toward its base and 250 lbs when fully outstretched. The technology behind the Quest is unique in that it is highly modular. The "building blocks" that make up the Remote Systems Engine from which the Quest is built is a collection of hardware and software modules. These were specifically designed to let Schilling and its customers build a variety of types of remote controlled equipment for use deep in the ocean. The Remote Systems Engine has everything you need built in — actuation, power, communications and control technologies, and other sub-systems. 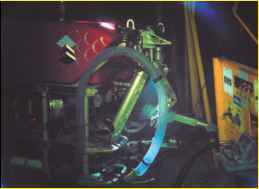 These enable the builder to make ROVs like the Quest series, as well as many other types of undersea equipment. 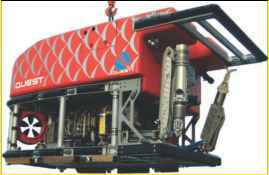 Examples of such equipment include drilling machines, one of which is being built to take 50 meter core samples out of the ocean floor at a depth of 3,000 meters. The Remote Systems Engine speeds the engineering process and makes the technology reusable. In only the first year of the Robot Wars event, the Schilling Robotics team saw a flyer ad for the mechanized mayhem and decided to attend — as observers only. "Hey, Joe, let's take a look at this red thing here just in front of that black thing there." 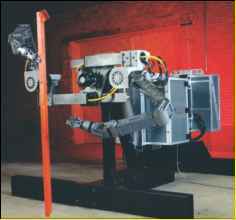 The Quest Remotely Operated Vehicles (ROVs) are made of aluminum, titanium, and engineering plastics. 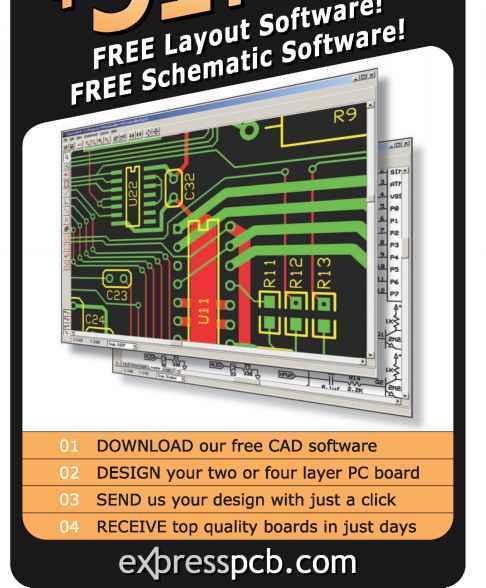 Each material is selected based upon the specific application of the part it will form. Choice engineering plastics are ideal where parts will be lightly to moderately stressed and exposed to erosive conditions, which the plastics are resistant to. These plastics vary slightly in their mild buoyancy, which helps bring the ROVs to proper overall buoyancy in order to displace the correct weight in water to be useful. An ROV must be weight efficient in water, just as an aircraft must be in air. Titanium is used in parts that are heavily stressed and in situations where corrosion can cause components to fail. Aluminum is useful for moderately stressed applications and where corrosion isn't such an issue. Aluminum is also used where it wouldn't be economically feasible to fabricate the given component out of the more expensive titanium. and weekends — to have it completed on time. Thor was a heavy weight, which — back then — was about 185 lbs. Thor was built a little too heavy, but was trimmed down in certain places to make weight. Thor had four wheels and was about 2.5 ft wide by 4 ft long. Thor was steered by two front wheels and the power source was a go-cart engine made by Yamaha. The Yamaha engine drove an aerospace hydraulic pump. Both the drive and the operation of the titanium hammer in the middle of Thor were hydraulic. (Is it me or do these guys really, really like titanium?) Thor's hammer came down on its opponents so fast that Thor came off the ground before its hammer even struck anything. This hammer totaled many a bot part and kept the crowds roaring. exclaimed how he had only bought the engine temporarily on his credit card and was planning to return it come Monday morning! That year, Thor made it to the final battle against The Master. Toward the end, Thor appeared to be winning, having disabled one of The Master's drive wheels. When Thor came in for the kill, The Master swung around and drove its spiked tail into the side of Thor. Remember how we mentioned that Thor had to trim down to make weight? Well, the trimming was done by milling down that very area of the frame to a very fine thinness. When the exclaimed how he had only bought the engine temporarily on his credit card and was planning to return it come Monday morning! ROV equipment above water at recovery operation. spiked tail hit the outer housing of the centrifugal clutch on the go-cart engine, it stopped its output and Thor began to lose its hydraulic power. The Master had won. These awesome kits are the latest craze in Japan. 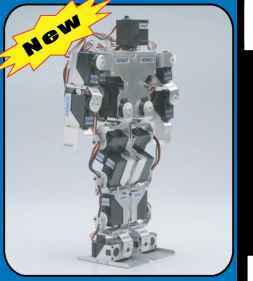 • Robot has 17 motors for fluid movements. 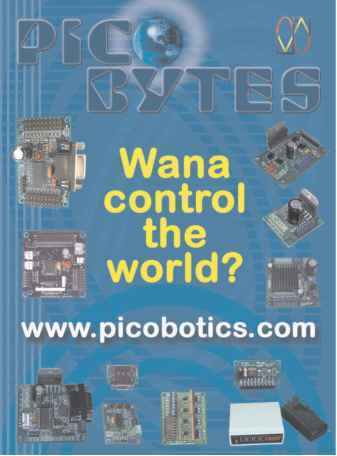 • Programed and Controlled via PC. « Upgradable to Bluetooth wireless.